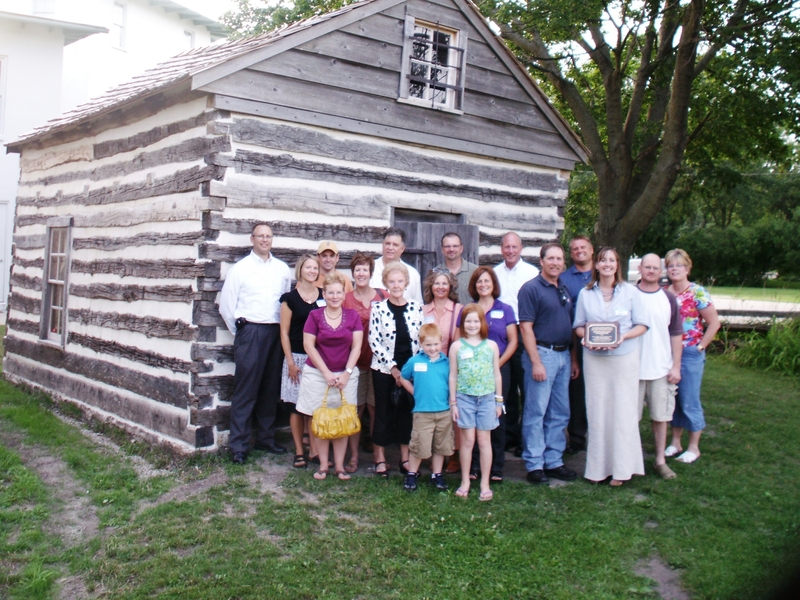 Members of the Milton Historical Society who worked to restore the historic Goodrich Cabin. Living history during Milton's Heritage Day. Milton, Wisconsin, (population 5564), located in the southeastern part of the state, was founded by Joseph Goodrich, who staked a claim there in 1838. He drew an imaginary line from Chicago to Madison and from Janesville to Fort Atkinson, and built his house where they crossed. Goodrich and his family lived in a log cabin, and in a framed house which also served as a store and an inn for travelers. In 1844, he built the hexagonal Milton House, the first and oldest grout building in the United States. The Goodrich family not only provided hospitality to travelers at their inn, but also took exceptional risks by defiantly housing, feeding, and moving runaway slaves on their journey to freedom through the Underground Railroad. In 1844, Goodrich also established the Milton Academy. The institution grew to become Milton College, one of the first in Wisconsin. The institution prospered for more than 100 years, until financial troubles forced it to close its doors in 1982. One mile west of Milton, a second community called West Milton was settled. In the 1850s, two railroads were built through West Milton and their crossing led the community to change its name to Milton Junction. Milton and Milton Junction operated as separate communities until a merger in 1967. To this day, there are still two "downtown" areas in Milton: Parkview Drive on the east side of the city and Merchants Row in the old Milton Junction area to the west. A tour guide of the city offers visitors a history of the area and highlights historic buildings. The Milton House Museum was recognized as a National Historic Landmark in 1998 and is the only Underground Railroad location in Wisconsin open to tourists. The site features archaeological artifacts from the museum grounds, period clothing, furniture, Civil War pieces, musical instruments and gramophones, advertising clocks, and a furnished three-story stagecoach inn with a country store and original pioneer cabin. Also on the grounds are a blacksmith shop, stable, buggy shed, and smoke house, all equipped with period-appropriate artifacts. Recently the Milton Historical Society restored the Goodrich Cabin, which was brought to the site by Milton’s founder in 1839. It is connected to the Milton House by a 45-foot underground tunnel that was used to transport fugitive slaves from the cabin to secret quarters in the cellar of the house. The restoration used historically accurate materials, including lime mortar, white oak logs, and hand-hewn shingles. The historical society hosts Heritage Day each October on the grounds of the Milton House. 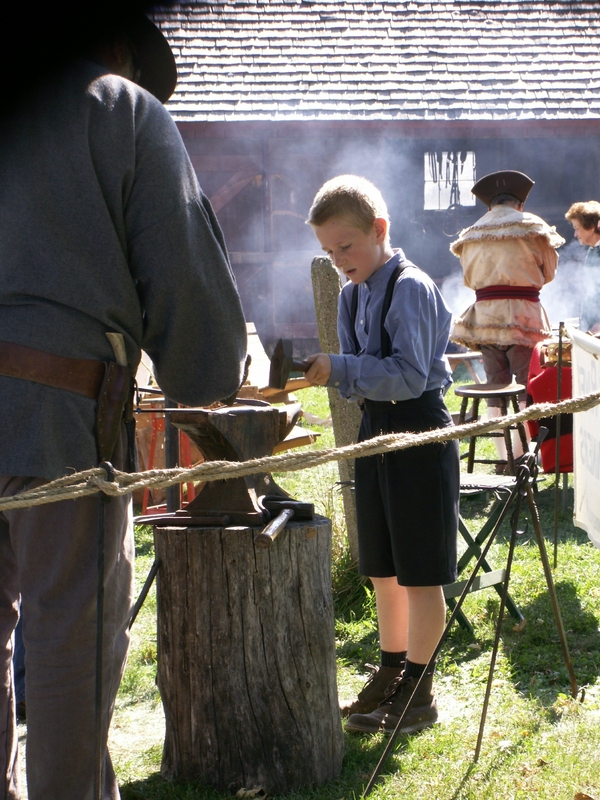 Volunteers in period dress set up camp and show how people lived in the early days of Milton. Skilled artisans demonstrate woodworking, blacksmithing, shoemaking, wheelwrighting, and hay baling. Craftspeople show how to spin yarn, throw pottery, knit, quilt, tat, and weave both cloth and baskets. Children can try many of the activities and learn to play old-time games.